For those of you who are unaware, I *love* prunes! Unfortunately, they are all mushy when you get them from the store, so a bit of dehydration is in order! 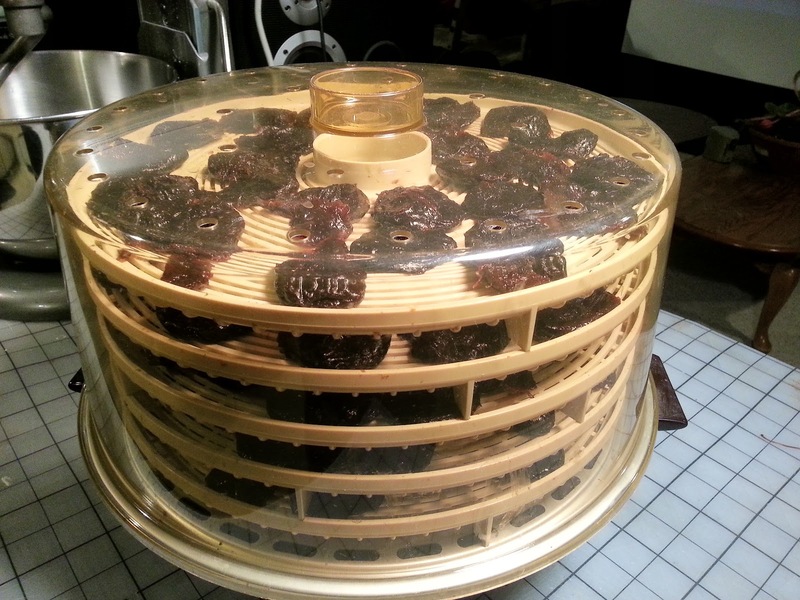 Check out a few pics! 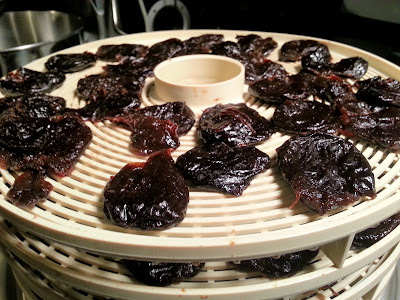 Prunes are waaaaaay better when they are dried-out, tough, and chewy! 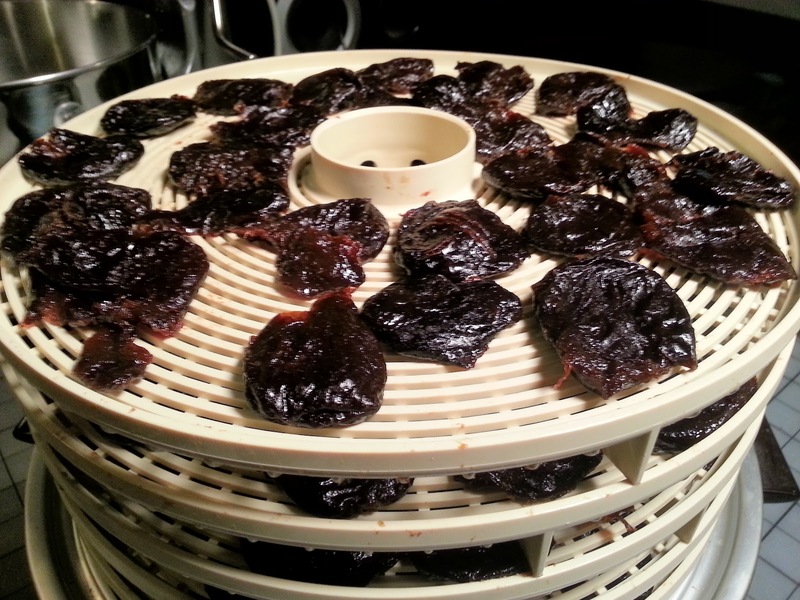 Get your dehydrator out and lay them out in a single layer! Flatten them out as you spread them around to maximize their surface area. 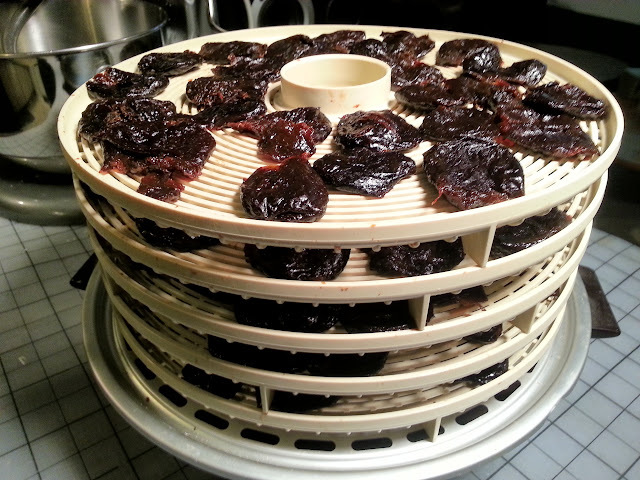 Leave a bit of space between them so that the air can move freely. My food dehydrator just so happens to hold exactly one entire bag from Sam's Club! Cover them up & plug it in! Be sure to check on them every 12-24 hrs until they are the toughness you prefer!